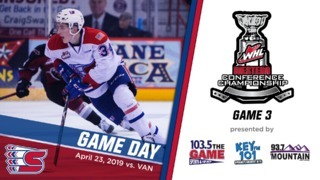 Spokane Chiefs forward Jaret Anderson-Dolan was selected 41st overall (second round) by the Los Angeles Kings in the 2017 NHL Entry Draft on Saturday in Chicago. 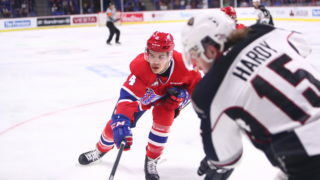 He is the second Chief selected in this year’ draft, joining linemate Kailer Yamamoto, who was selected by Edmonton on Friday. 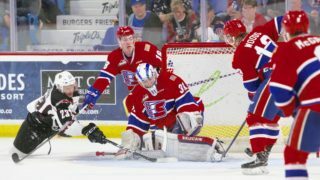 Anderson-Dolan exploded for 39 goals and 76 points (31st WHL) during his second season in Spokane, becoming just the fourth player in franchise history to score 30+ goals in his 17-year-old season. 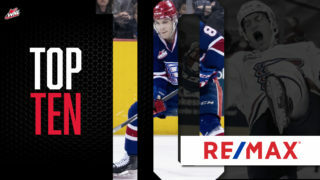 “JAD” was one of the youngest draft-eligible players this year, with his birthday falling just three days before the NHL’s cutoff date. 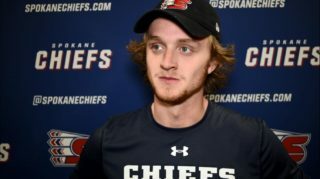 Originally a first round pick (14th overall) by the Chiefs in the 2014 WHL Bantam Draft, Anderson-Dolan has four career hat tricks and eight multi-goal games. He earned a six-game goal streak during the 2016-17 season; part of a stretch in which he recorded a point in 18 of 20 games. 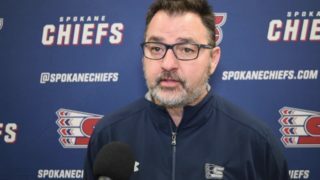 Anderson-Dolan is the 70th Chief ever selected in the NHL Entry Draft; the 14th in the second round. He’s the third Chief to be picked by the Kings, joining Justin Hocking (1992; 39th) and Ned Lukacevic (2004; 110th).